This morning, I have to face two young children and explain to them that despite their father being in immigration detention for six years, it is extremely unlikely they will be reunited as a family anytime soon. These children live in a group home and are at risk of being placed in foster care. They came to Australia to seek asylum and then had acts perpetrated against them in detention that you would not wish on anyone. I ask Scott Morrison, Josh Frydenberg, Peter Dutton, David Coleman and Paul Fletcher – what is the plan for the father of these children? What is the plan for the growing group of men and women in onshore detention who cannot be deported? What is the plan for the men and women in detention who have been found to be owed protection obligations by the Australian Government, and thus cannot be returned to their countries of origin without facing significant harm or death? What is the plan for the men and women who originate from states that the Australian Government acknowledges are failed and thus cannot be returned? What is the plan for the men and women who have no identification documents because they never had any, and thus no country acknowledges them as their own? There must be a plan for these people. 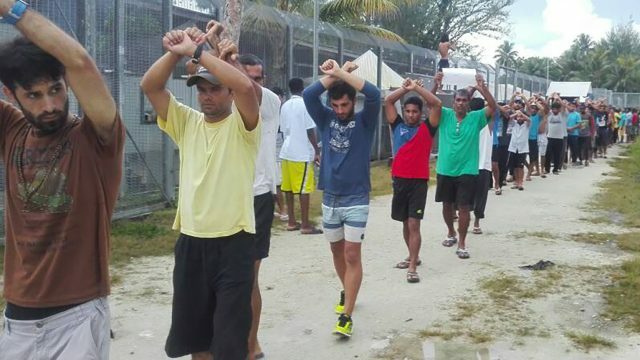 This is not a group of people who may eventually give in to the pressures of Australia’s return orientated detention policy. These people have nowhere to go. Ever. They are in Australia and we need to acknowledge this fact and deal with it. Australia, our land girt by official racism? At the moment, it appears there is an ad hoc government approach to warehouse these people in Australian detention centres. Warehousing people for five to ten-plus years is not a plan – instead, it merely constitutes a significant drain on taxpayer funds. And so, I ask, what is the plan for Said Imasi? What is the plan for William Yekrop? What is the plan for Ali Alkhazali? Abdalrahman Hussein? and Jamal Talib Abdulhussein? The plan cannot be that failed states and conflict zones such as South Sudan, Sudan and Syria will eventually be safe for these men to return to. The Australian Government has no control over the internal workings of these countries. The plan cannot be that another country will take people Australia refuses to. We tried that with Manus Island and Nauru, and apart from a slow trickle, exactly the same legacy problem will be left. The plan cannot be that somehow, somewhere, identification documents will be found after decades of searching to confirm a person’s identity. So, what is the plan for these people? And to Labor. I was an intern at Australia’s Parliament House when Tampa happened. Labor did not have a robust asylum seeker policy then. Do not make the same mistake now. Alison Battisson is the founder and Director Principal of Human Rights for All Pty Ltd (HR4A). HR4A is a charitable law firm that focuses on complex case and long term detained asylum seekers. Alison is committed to ending the arbitrary detention of asylum seekers in Australia, and on Manus Island and Nauru. Alison regularly visits places of detention to talk with and represent those asylum seekers who face indefinite detention or construction refoulement. She is one of the only lawyers, if not the only lawyer, who regularly attends places of detention on a pro bono basis.